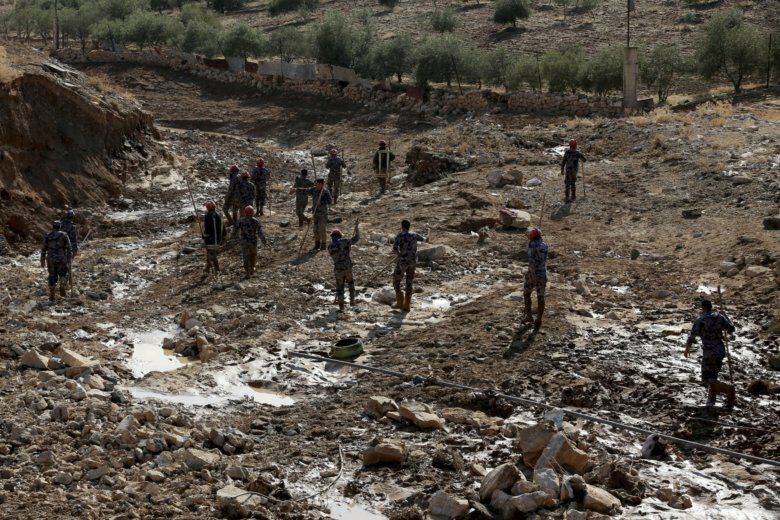 AMMAN, Jordan (AP) — Jordanian search teams have found the body of a five-year-old girl, bringing the death toll from last week’s flash floods in the kingdom to 13. On Friday, flash floods unleashed by heavy rains struck several areas of Jordan, including the kingdom’s main tourist attraction, the ancient city of Petra. All visitors were evacuated safely from Petra, but the flooding claimed lives elsewhere. Two weeks earlier, 21 people, most of them children, were killed in flash floods near the Dead Sea.